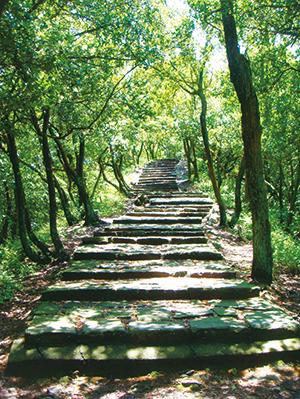 Setonaikai National Park is one of the first national parks to be designated in Japan, along with Unzen and Kirishima in 1934. Of the area surrounded by the four straits of Kitan, Naruto, Kanmon, and Hoyo, the park area includes the vast sea area and islets of the Setonaikai Sea, as well as scenic observation points ashore overlooking the Inland Sea. Extending over 11 prefectures and covering a total area of 900,000 hectares including the sea area, the Setonaikai National Park prides itself on being Japan's largest national park. The distinct features of this park are archipelago seascapes of the inland sea studded with numerous islands and islets of varied sizes. The coastal land area abounds with observation points. The area around the Setonaikai Sea enjoyed a flourishing culture from early times as the inhabitants coexisted with nature. Areas of terraced fields, port town awaiting a favorable tide, and other scenes of people living in a state of intimate connections to nature and creating familiar scenes are signature attributes of this park. 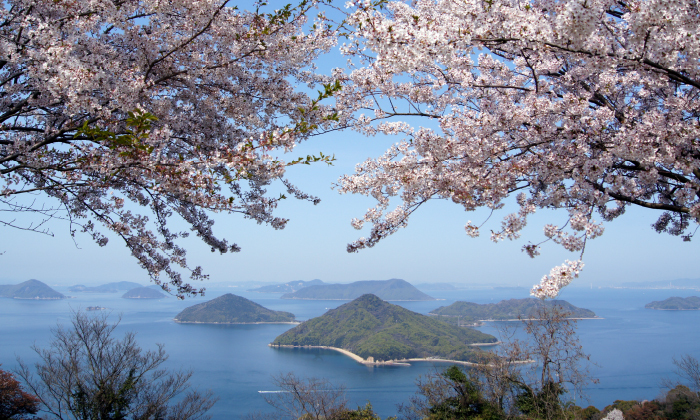 The Setonaikai Sea can be divided into four parts from east to west: Awaji-shima Island and its surrounding area, Bisan-Seto and its surrounding area, Geiyo Islands and their surrounding areas, and Suonada and its surrounding area. The Inland Sea has complex open sea areas and bays connected by narrows called straits and channels. The inland sea far from the outer ocean is known for its large tidal differences and fast current. While there are different geological features ranging from the Paleozoic era to the Cenozoic era, the area largely consists of granite. 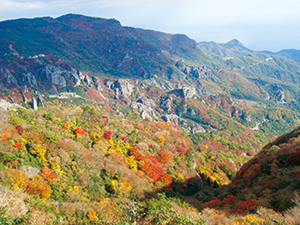 There are distinct land features in the Horai Valley at the base of Mt. 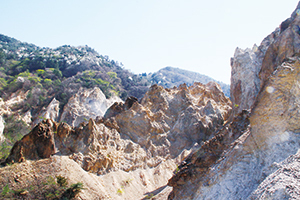 Rokko called badlands, which were formed mainly from loose granite rocks that were more easily weathered and eroded. 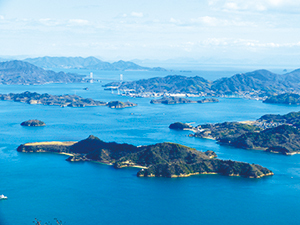 In addition, the area formed by the volcanic extrusion of rocks, called the Setouchi volcanic rocks, encompasses scenic sites of Mt. Yashima, famous for its tabular plateau, and Kanka-kei Gorge on the Shodoshima Island where there are rows of oddly shaped agglomerate rocks and ridges. Other attractions are the lava dome, remains of craters, and the valuable milk-white dian rocks found on the Hime-shima Island. Famous for a sweeping view of huge clusters of islands in the calm inland sea, the area exhibits archipelago seascapes that vary with the different angles and locations, such as the views from the coast, islands appearing amongst sailing ships, and the scenes beheld from observatories on the coast. Also, the scenes change as the seasons come and go and during the times of morning glow and sunset glow. 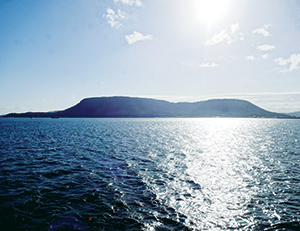 The calm waters of the Setonaikai Sea have areas where there are waters with strong currents due to straits, complicated seabed topography, and differences in tide levels. 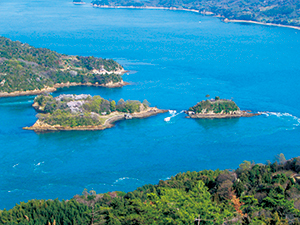 In particular, the famous sites include the Naruto Strait, Funaori-Seto and Ondono-Seto. 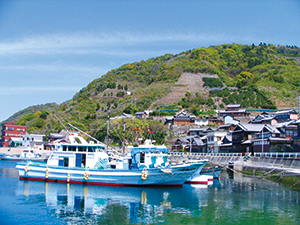 Visitors can take a tidal current boat in the Naruto Strait and Funaori-Seto. The Setonaikai Sea has prospered as the key junctions of maritime traffic from long ago, and coupled with a mild climate, the area was populated by a substantial number of people. This created the scenes of old port towns, shrines and temples, and terraced fields utilizing inclined planes, where people live their everyday lives in harmony with nature. 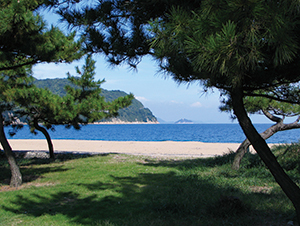 The beautiful stretch of sandy beaches, such as Keino-Matsubara, Shibukawa Beach, Tsudano-Matsubara, Katsura Beach, Karako Beach, and other beaches with weathered white granite sand, adorned with pine trees planted to prevent wind and the erosion of sand, are one of the profound cultural landscapes to be enjoyed here. The vegetation in the coastal area is made up of a majority of second-growth forest consisting of Pinus densiflora, Quercus serrata, and Rhododendron. 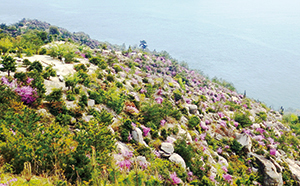 In contrast, the cliffs along the coast are inhabited by a shrine forest mainly of Quercus phillyraeoides, Castanopsis, and Japanese oak trees, mixed needleleaf and broadleaf forests of Mt. Misen, and many other valuable natural vegetation throughout the area. Also, the sandy beaches are populated by salt-tolerance Vitex rotundifolia, Messerschmidia sibirica, Hibiscus hamabo, and other seaside plants, while the salt marsh is home to rare plants such as Eleocharis parvula. 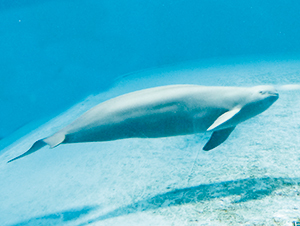 The Setonaikai Sea boasts a wide range of biodiversity inhabited by rare living creature native to tidal flats, seagrass beds, rocky shores, and tidal marshes. 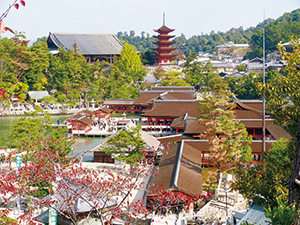 In particular, finless porpoise native to a temperate shallow sea area, Japanese horseshoe crabs known as living fossils native to tidal flat of inner bay with gentle ocean waves, Miyajima dragonfly that only lives in the Miyajima Island in Japan and other rare living creature are found here. Also, the southwest of the Miyajima Island including the tidal marsh where spring water mixes with the inflow of seawater to form brackish tidal marshes provide an ideal habitat for the vulnerable Miyajima dragonfly, which was registered as an internationally important wetland under the Ramsar Convention in 2012. Besides, there are Japan's largest colonies of Alveopora japonica off the coast of Yashirojima Island and along with its favorable seagrass beds, it is designated a marine park zone in 2013, for the first time in the Setonaikai Sea area. 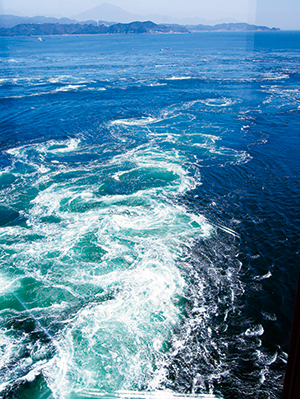 Since ancient times, the Setonaikai Sea has been a major artery for marine traffic connecting Japan to abroad. During the Edo period, the Setonaikai Sea routes were established and supported the prosperity of port towns where people waited for a favorable tide and wind conditions to set sail as ships, such as freight vessels and Joseon missions to Japan, sailed here from home and abroad. 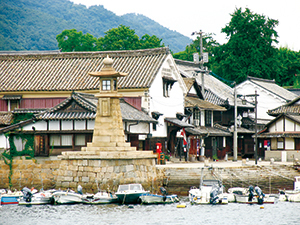 Even now, you can see historical townscapes in the regions of Ushimado, Shimotsui, Tomonoura, Onomichi, Mitarai and Murozumi. In addition, owning to the complicated tidal current and land features in the Setonaikai Sea, the Inland was home to a group of highly skilled sailors, known as the Shiwaku Navy (Shiwaku Suifu) and Murakami Navy (Murakami Suigun), and a number of remnants are still retained in their bases. 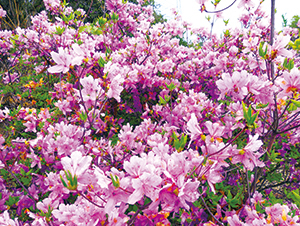 The great sights around the Setonaikai Sea area that flourished from early on are mentioned throughout the Manyo-shu (the oldest existing collection of Japanese poetry), Koji-ki (Records of Ancient Matters) and Taihei-ki (Record of the Great Peace). Also, the park abounds with historical buildings and landmarks in the context of the old Genpei War and a shrine or temple visit, and the islands retain traditional customs and events even now.